Allso huggling mah honey Dibby-kun! and I'd like to also say that you are VERY good at drawing Dib... yeah..
That is freaking cool!!! 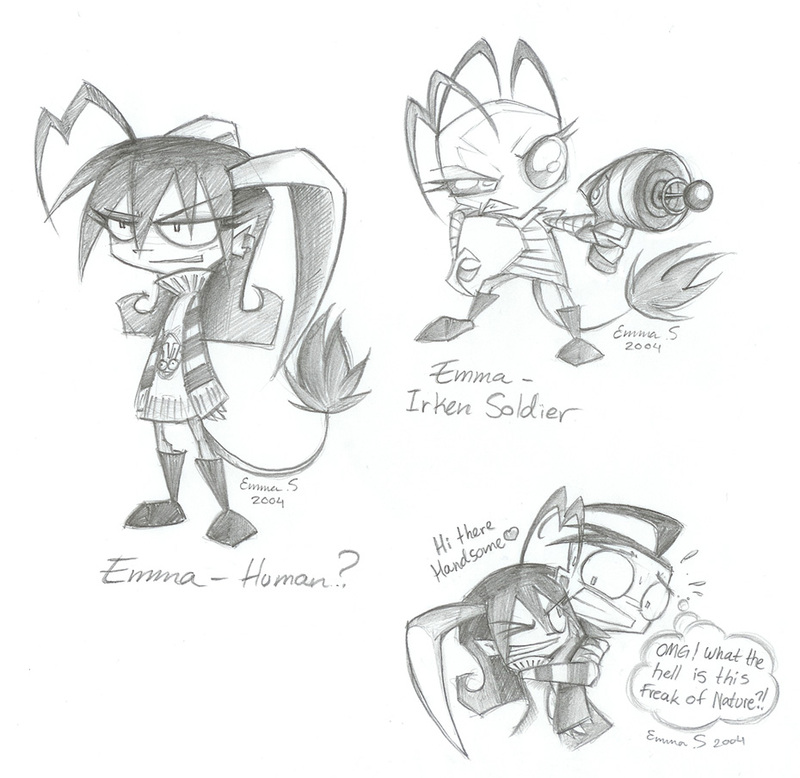 Emma looks awesome as a .. er... human is it? That's really great! I actually laughed when I read what Dib was thinking! That doesn't happen very often! I love you style. And you grasp the caricter may not like you. Is Emma like a part Erken part somthin elas?